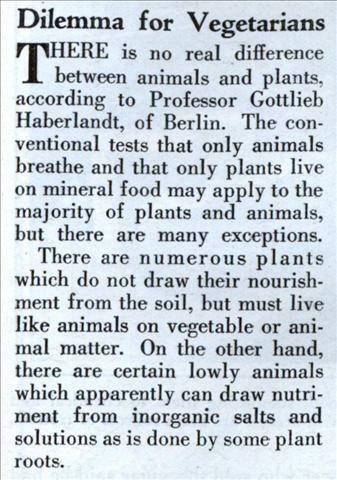 THERE is no real difference between animals and plants, according to Professor Gottlieb Haberlandt, of Berlin. The conventional tests that only animals breathe and that only plants live on mineral food may apply to the majority of plants and animals, but there are many exceptions. 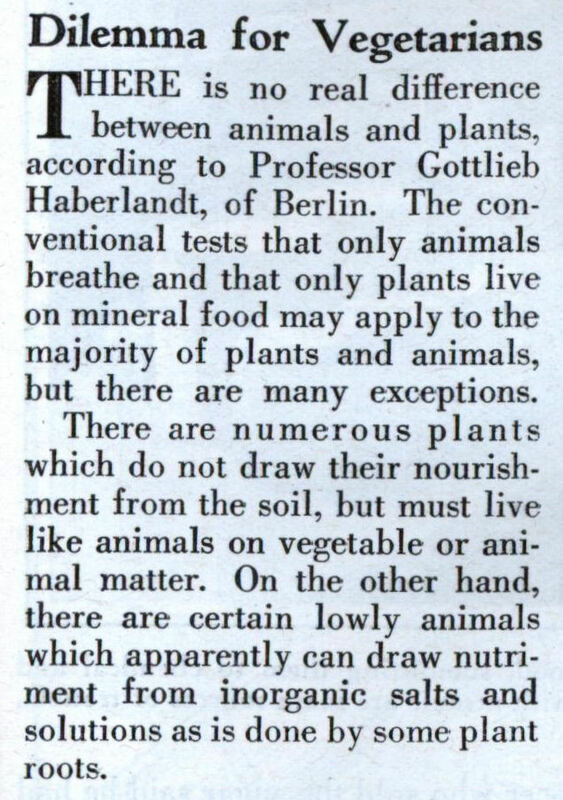 There are numerous plants which do not draw their nourishment from the soil, but must live like animals on vegetable or animal matter. On the other hand, there are certain lowly animals which apparently can draw nutriment from inorganic salts and solutions as is done by some plant roots. This is, of course, a false dilemma. The fact that there are bacteria and corals and such that have qualities normally associated with plants does not mean that there is also “no real difference” between a cow and a carrot. Or between a human and hummus, for that matter. Can’t you hear the carrots scream? At least radishes can’t scream…. Plants are still organic. They have a stiffer cellstructure and a different cell build-up. But hey its still an organism. No food, it dies. Virusses are the only dead things…bacteria, fungus, its all organic. Nikola: Actually it’s under constant debate, if viruses should be called living or not. 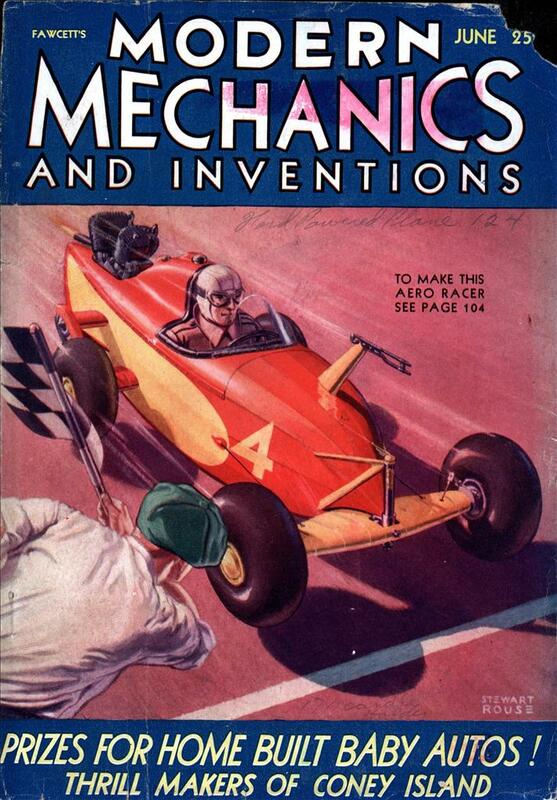 Metabolism is one of the “classical” definitions of life, as you wrote. They are interesting little buggers, anyway.